If there’s one thing we know about Spider-Man fans, it’s that they love clones. Wait, where are you going?! Come back! Ok, ok, in reality comic book fans have long held the 1990’s Spider-Man Clone Saga up as one of the most controversial Marvel events of all time. Fans who were there for the ride may harbor a deep resentment, whereas many look back now with warm nostalgia towards the never-ending saga of Peter Parker, the Jackal, and all those Spider-clones! Dan Slott has proven he’s a clear a fan of 90’s Spider-Man comics during his lengthy tenure on the wall-crawler, and that continues with this latest Spider-Man event, Clone Conspiracy. Clone Conspiracy not only re-invites Jackal into the life of Peter Parker, but the clonage this time extends to a whole bunch of “Dead No More” Marvel Universe figures, inviting tons of drama and controversy. 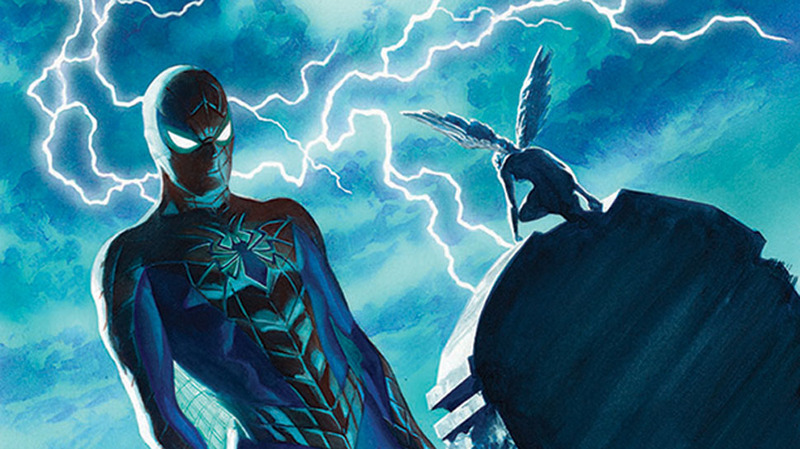 Below you’ll find a complete reading order for the Spider-Man: Clone Conspiracy. Previously: Original Spider-Man Clone Saga! You don’t need All-New All-Different Marvel to read the Worldwide Spidey arc prior to Clone Conspiracy, but this will give you all the context you need for where Peter Parker is at in the landscape. I’d also note here that this is a Dan Slott Spidey event through and through, which means plenty of references to previous work of his like Superior Spider-Man and Spider-Verse . Prowler presents some serious continuity confusion. I initially had the issues placed in order of publication meaning read Prowler #1 after Clone Conspiracy #1, Prowler #2 after Clone Conspiracy #2, and so on. Prowler keeps showing up in Clone Conspiracy core issues, though, meaning it makes more sense if his solo adventures take place together. Essentially, Prowler #1 to #3 takes place after Clone Conspiracy #3 and 1/4, and then Prowler #4 clearly takes place after Clone Conspiracy #4. For anyone looking for Amazing Spider-Man in Marvel Unlimited, it’s under T as “The Amazing Spider-Man (2017-Present)” for some reason. It took me way to long to figure that out.